Hyaluronic Acid is the best agent found in skin care to date as anti-aging and anti-aging. It is also known as hyaluronan or hyaluronate. An average of 15 grams is a naturally occurring substance in the human body. It is found in joints, around the eye baby, in our skin, and in many other places. It even forms 65 percent of the skin. Fill the area between the collagen and elastin fibers in the skin dermis layer. The task in the skin is mainly on development, improvement and maintenance. 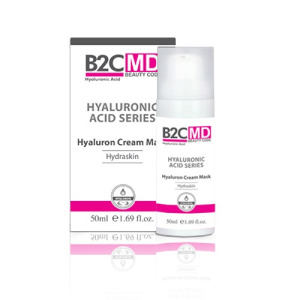 The B2C MD Hyaluronic Acid Series, developed with new technology and heavily impacted on the natural moisture mechanism of the skin, has developed to effectively treat aging signs of mature, skin needing care. 22% concentrated hyaluronan serum suitable for skin structure, moisture care cream, gel concentrate, eye care cream and gel mask help to ensure visible improvement in skin with regular use. 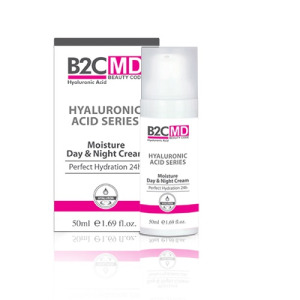 In the B2C MD Hyaluronic Acid Series products based on scientific studies, there are 'Hyaluronic Acid' in different molecular sizes. 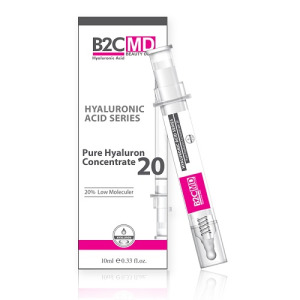 New Hyaluronic Acid Series; It contains INTELLIGENT HYDRO-LIPIDLER which can adjust the moisture level of the skin depending on the moisture content of the environment. With its bi-directional performance, the CUTANOUS PHOSPHOLIPID fulfills the task of BIOMIMETIC (bio-mimic) and thus helps to recreate the skin's natural hydrolipid structure. The main purpose is to keep the skin moist and fuller. It can hold 1000 times its own weight of water. Skin moisturization, providing joint lubrication, essential nutrients to the skin cells to carry out important tasks such as. Hyaluronic Acid helps reduce intense wrinkles as well as intense moisturizing properties of the skin. As Hyaluronic Acid is found in tissues, it maintains the elasticity of the skin, carries out the task of keeping it in a stable condition and maintenance of collagen fibers. The lack of these fibers adversely affects the elasticity of the building. Water retention and skin moisturizing are the most important features. Repair and elasticity of the tissues is one of the benefits of Hyaluronic Acid. This feature prevents aging of the skin. It also helps fight skin inflammation and irritation. As you get older, cell mitosis rate decreases, so cellular regeneration and repair process slows down. 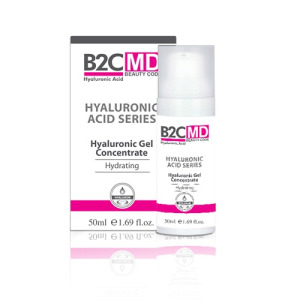 Hyaluronic Acid helps reverse the condition of the being. Skin care products containing hyaluronic acid are only effective when they reach the dermis. 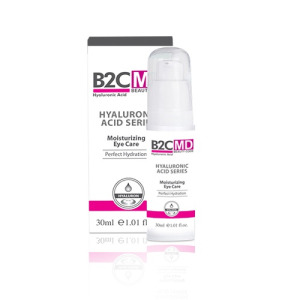 All products in the B2C MD Hyaluronic Acid Series reach the dermis layer from the surface of the epidermis. Pure Hyaluronic Acid application means that 95% of the constructs are very happy with the results. For a fresh look, skin nappiness is essential, but surface treatments are always inadequate to reduce skin damage. All creams, treatments, skin care contribute to youthful appearance, but none can provide deep moisturizing with pure Hyaluronic Acid. Pure Hyaluronic Acid effectively enhances the reduced level of Hyaluronic Acid in the skin, giving it a natural shine. Hyaluronic Acid forms the cell matrix that gives skin vitality, brightness, ness, tone, and tension. The aging process in the skin is accelerated by the decrease in hyaluronic acid from 25-30 years old. Hyaluronic acid begins to lose skin vitality, brightness and elasticity with acid reduction. Hyaluronic Acid allows the skin to look tense, soft and plump as if it were young. As long as Pure Hyaluronic Acid is applied, it removes the effects of skin aging and factors such as sun and smoking. Hyaluronic Acid + LMW has excellent intracellular penetration ability thanks to its low molecular weight, promotes cell regeneration process, strengthens skin resistance and supports renewal.